Ask fellow campers about "Zia RVillas " and nearby attractions. Unprofessional staff will drop racial slurs at a moments notice. Prices are subject to change month to month desguised as an electricity "surcharge" along with the warning, "set your ac to higher temp or more rate increases will come" this is blanket charges for the entire park, not just high electric consumption users. Pool isn't open at the times posted, as staff couldn't find the keys to unlock it one day for my wife and kids. Don't rely on their wait list. I was on it for over a month, a coworker just drove over and got in before me. Then I got in when I drove over too. Was never asked if I was on the wait list or anything. Also make sure you know exactly when you are leaving. They do not issue refunds or prorate rent. Owner of the facility is very arrogant and rude and will roll his eyes at you and heavy sigh when you speak with him about issues. Very strict about the speed limit unless you are on staff there, then they will almost run over you. Dogs everywhere too so watch your step. Don't rely on the WiFi, it's dialup speeds at best. You can send an email or browse social media posts, but getting videos or Netflix will be a struggle. If you can one of the few "typical" spaces (as described on their website) with grass, watch out for the automatic sprinklers. A real genius designed them to spray almost directly at most camper doors. But probably won't have to worry about it since most of the spaces are just rock with no grass. Overall, I would NOT recomend this place. They do a good job of overinflating the ammentities and the appeal of the place. It is quiet and if you don't ever have to see or deal with the staff I'm sure it's okay. But my experience was very unpleasant and I will stay at a different park next time my work brings to the Hobbs area. We camped at Zia RVillas in a Fifth Wheel. Nice facility, but I was disappointed in our sites. We had three friends traveling together and made reservations well in advance. We arrived after the office closed and our reservations were posted on the door. Sites 71, 72, & 79. Site 73 was vacant when we arrived but was later filled by someone traveling alone. We didn't understand why the 3 traveling together weren't put together! Our site had a broken concrete pad, swaybacked picnic table. They have a beautiful green space at the center of the park, but it was so full of grass burrs we couldn't walk our dogs! We won't be going there again. We camped at Zia RVillas in a Motorhome. The office has limited hours but my reservation was posted at the office entrance. My site was graveled and level. Most trailers were long term and in good shape. The park is spacious with a large open area in the middle. The higher number slots in back lack traffic noise. All utilities worked well. Hobbs water has a muddy taste so buy bottled water for drinking. Shade is very limited. The neighborhood looked secure. Trash containers were a long walk from my site. 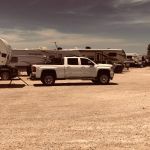 We camped at Zia RVillas in a Travel Trailer. There is a casino and small museum nearby. Narrow gravel access roads, but no issues for big rigs at least on the access roads. Gravel sites with struggling grass between some sites and small trees. No real thought to avoiding obstructions for big rigs - our pullthru site had only about 10' usable width between the pedastals on the left and a raised concrete patio on the right. Then a tree in the front took 1/3rd of the width of the site on the inside of the turn required to exit. This pullthru site was difficult to get into and impossible to get out except by backing out. Not all sites are this way, but care needs to be taken to ensure ingress and egress for a big rig. Somewhat level sites. Power ok, did not use other utilities. No problem with satellite access. Verizon 3 bars with ok speed, TMobile 0-2 bars (did not check speed). Did not check campground wifi. No recycle on site. Possible road bike riding adjacent to campground. We might overnight here again since the choices for a big rig in this neck of the woods are very limited. We camped at Zia RVillas in a Motorhome. Typical "west Texas type park". The park was clean. The sites are close together but all the utilities worked fine. We could not level the coach, but it was close enough for one night. We camped at Zia RVillas in a Motorhome. We stayed for 1 night. Pleasant welcome, asphalt roads, gravel sites with grass and small trees around the park. Pool, rec hall, shuffleboard, propane on site, long pull thru's. Free cable with 150 channels. Sites very level. We camped at Zia RVillas in a Motorhome. Stores and restaurants including Walmart nearby. This is largely a longer term park. Looks to be still busy with oil. The facilities are nice, the people are friendly. The sites are gravel reasonably spaced all the utilities are good. It is easy to get into the park and maneuver within the park. It is a good place to stay when in Hobbs. We camped at Zia RVillas in a Fifth Wheel. The only place to stay when in Hobbs. Not really, but it is the only place I would stay. The facilities are clean and park is maintained very nice. Convenient to stay here if going to casino. We camped at Zia RVillas in a Fifth Wheel. Eat at Tia Juanas while in Hobbs. Great food. Easy in and out. Best WIFI we have ever found! Will definately stay again if in the area. After a heavy rain some mud in the grass areas but not objectionable. Not much shade. The main office/club house was large and clean. We camped at Zia RVillas in a Travel Trailer. We stayed here for 3 days longer than we planned due to major weather problems. Easy spots to park a big rig. 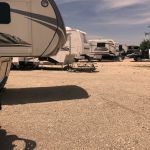 Lots of permanent residents and appears to have good amenities, however we did not explore them as we were pretty cabin bound in our rig and were happy for a safe, dry place to stay. Strong wifi and excellent cable. We did not even hook up our satellite. There were a couple of garbage cans at the back of the park that were full when we got there and not emptied by the time we left. There are not many places to stay in Hobbs and this was more than adequate. Would stay there again if in the area. 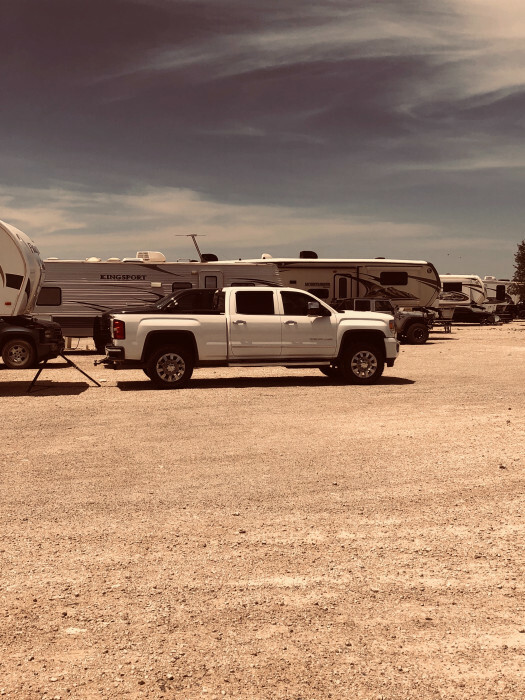 We camped at Zia RVillas in a Fifth Wheel. Good overnight stop. Large sites, did not have to unhitch(60 ft). With the Employment need in the area, most site have workers and families. This area is booming with employment opportunities. Close to hwy, but not a lot of traffic. Will stop again. We camped at Zia RVillas in a Fifth Wheel. A decent park, mostly filled with oil workers, but keeping a few spots open for daily ranters. My first impression was negative as a fairly pushy lady taking the reservation kept trying to convince me to take a cable site, a few dollars per night more. I was told "you won't get a single channel without cable". The rest of the staff were friendly and more professional, and as it turned out I had good reception on 15 channels without cable,including some favorites. The park is clean and offers nice shower rooms and an inexpensive laundry room. Internet is strong. I was pleased that highway noise was not a problem, but discovered around midnight that some sort of railway loading yard was nearby and quite noisy for about an hour. We camped at Zia RVillas in a Travel Trailer. Our packed gravel pull-thru was mostly level and long enough for our 40 ft RV and toad. Sites are narrow but wide enough for our slides. Staff were friendly. Campground overall is mostly clean and well maintained but there was some concrete debris and trash in our campsite. Good cable TV with a reasonable number of channels. No trees big enough to block our satellite dish. Good Verizon signal. Ridiculously long password for Wi-Fi. Traffic noise level was okay but a loading area for the railroad across the street was busy and loud our first night. We camped at Zia RVillas in a Motorhome. We have stayed here during summer months for several years for our family reunions that are held nearby. It's been a good, secure, clean place to stay. Laundry facilities were good, clean, adequate. Staff has always been friendly and helpful. Very little traffic noise from the Lovington highway (never did keep us awake). We camped at Zia RVillas in a Motorhome. This is my third attempt at reviewing this park. It is a fairly new park that appears to have a lot of the sites occupied by long-term customers who work in the area (maybe 50%) . Even with all the "permanents" the park had plenty of open sites so the presence of all the workers was not a problem. We stayed here one weeknight in late October. We had a FHU, pull-through site with 50+ channel cable TV and decent Wi-Fi. Most sites are pull-through, but some (about 15) are back-ins. About 60 sites have cable, but 45 don't. Most sites appear to be satellite friendly. Sites and roads are gravel. Site size is decent but larger rigs will probably have to unhook. There is a pool which at this time is closed for the season and a rec room in the main building which contains the office, restrooms, and laundry. There are no other bathroom facilities so those in the main building could be inadequate at times. I saw no outdoor playground equipment for kids. 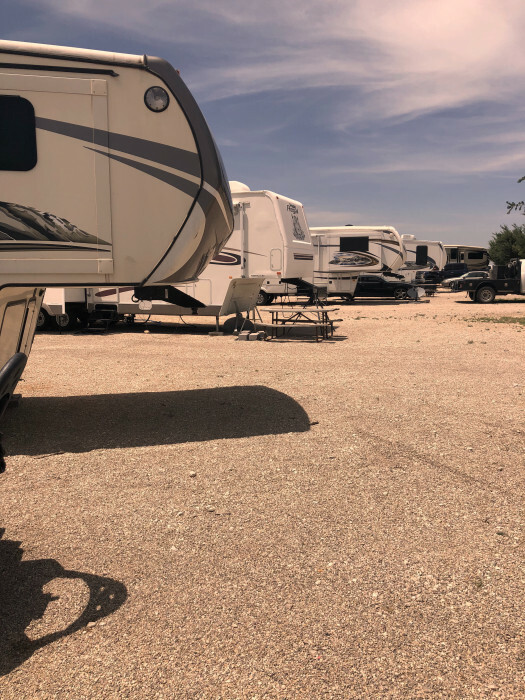 The park is located 2-3 miles northwest of Hobbs in an industrial area. The biggest negative was the noise at night from these neighboring businesses. That noise was sometime drowned out by the fairly frequent train horns. We camped at Zia RVillas in a Motorhome. Are you affiliated with Zia RVillas ?